Realme 2 Pro is a mid-range Android smartphone released back in Q4 2018 to compete with the likes of Asus Zenfone Max Pro and Redmi Note Pro series devices. After the surprisingly robust success with the Realme 1 smartphone, the company was caught off guard a little with the Realme 2 which came with a thoroughly outdated Snapdragon 450 chipset. 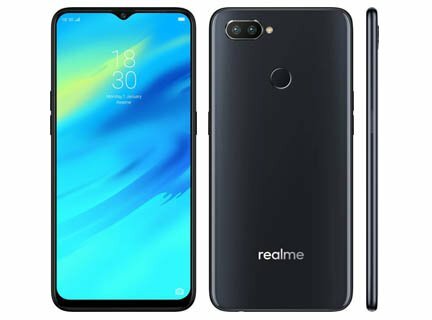 It seems the company has learned from its mistakes and went back to the drawing board to get the things right with the Realme 2 Pro, which it has managed quite successfully, to be honest. In this article, let’s have a thorough review of this one of the best smartphone under Rs.15,000, covering all the aspects to make you understand the pros and cons of this device. Without any further ado, let’s start! The Realme 2 Pro smartphone is completely made of plastic. There isn't even a single piece of metallic insert anywhere to be seen on the chassis of this device. However, the excessive use of plastics doesn't mean that the build quality is inferior. The use of excellent quality plastic does make the device feel rigid and durable. The shiny tinted colour plastic back may seem to be made of glass but it isn't. We advise you to use the supplied PU case in the box to avoid scratches on this device. The horizontally arranged dual camera rests a bit raised from the surface and is covered with a metallic ring around the edge. Security and Connectivity The fingerprint scanner is placed on the rear at a comfortable position where your index finger rests naturally. The power button is placed on the right side and the volume rockers to the left. These buttons feel responsive and tactile. The headphone jack and the speaker is placed in the bottom side. One of the biggest letdowns of this device is that it comes with the outdated micro USB port instead of USB-C. Overall, the attractive colour options and the water drop notch display makes this phone quite a looker in its segment. The build quality is okayish but not something that is worth writing pages about. The display was one of the strongholds of RealMe devices and they did the same in RealMe 2 Pro as well. The RealMe 2 Pro has kept the legacy with its large 6.2-inch full HD+ IPS display with a resolution of 1080 x 2340 pixels. The main USP of this display is its water drop notch, which houses the front camera and looks rather appealing than a regular sized wide notch. This tiny notch does help this budget smartphone to rock an impressive 84% screen to body ratio. This 19.5:9 display comes with a pixel density of 409 ppi, which results in excellent visual clarity. The colours look really popping with this display and the brightness levels are up to the point as well. You will have no issues using this display under sunlight or in brightly lit environments. As an added cherry on top, the RealMe 2 Pro comes with Corning gorilla glass 3 protection for the display which will protect the glass from accidental scratches. But to be on the safer side, we always recommend a screen guard to be applied on the display. RealMe 2 came with a disappointing Qualcomm Snapdragon 450 inside, but with the RealMe 2 Pro, the company has reversed that mistake by including the more powerful, more efficient Snapdragon 660 SoC. There are three RAM/Storage variants available with this device namely - a 4GB/128GB, a 6GB/64GB and an 8GB/128GB model. The Snapdragon 660 is an octa-core processor clocked at 2GHz and offers excellent overall performance. User Interface Whether you are a gamer or a casual user, this device won’t hold you back with bottlenecks. The Color OS 5.2 on top of Android 8.1 Oreo is a bit aggressive at times when it comes to memory handling, so you will face some apps running out of memory. But this will only happen if you have a lot of apps opened side by side and in normal cases, multitasking works butter smooth with no issues. One of the best features which the RealMe 2 Pro brings to the table is the UFS 2.1 storage in its 8GB/128GB variant. The UFS 2.1 type storage is much faster and performance optimized than the traditional eMMC based storages found in smartphones. The RealMe 2 Pro comes with dual VoLTE feature which can be utilized for two active 4G SIM connections. The signal reception is excellent considering the fact that the entire chassis is made of plastic and nothing interferes with the signals. The call quality through the earpiece is loud and clear and even with the loudspeaker, there is no jitter. The Realme 2 Pro comes equipped with a dual rear camera unit with 12MP primary shooter and a 2MP depth sensing unit. The f/1.7 primary camera in the back performs well in low light conditions and provides images with considerably less noise. The pictures turn out great with an excellent level of detail and colour accuracy in well-lit conditions and outdoors. The front camera is a 16MP shooter which is one of the best in its segment, The AI selfie mode works great and results in perfect portrait selfies with no jagged edges or aberrations. There is HDR support and the rear camera is capable of recording 4K videos up to 30fps. The 3500mAh Li-ion battery inside this device isn’t quite the highest capacity in its price segment but certainly not the worst. The RealMe 2 Pro will last for a day of moderate to heavy usage with the screen on time lingering around 6-7 hours. If you’re a game fanatic, expect this figure to come down significantly. If you’re looking for a smartphone with overall all-round performance, the RealMe 2 Pro should definitely be on your watch list. Combining the elegant design with the novel water drop notch and the powerful processor inside, this smartphone stands right up to the likes of Asus Zenfone Max Pro M2 and Redmi Note 7 Pro in the sub Rs 15,000 budget. A large 6.3-inches display with good colour reproduction. Excellent screen to body ratio of about 84%. Powerful Snapdragon 660 processor inside. AI backed cameras with portrait mode support. Super quick face and fingerprint unlock feature. Available in a variety of RAM/storage variants. Aesthetically pleasing design and decent build quality. The plasticky build is prone to scratches.